Have you ever read a book that you just don’t want to end? You’ve grown to know and love the characters. You ache for them as they face challenges, cheer them on as they begin adventures, and celebrate their triumphs… and then, the story’s done! It feels like you’ve lost a friend! The way to continue the relationship with these new-found friends, is to read books that come as a series – multiple stories about the same characters with new challenges, adventures, and triumphs. Series books are written for all ages. Beginning with the youngest listeners, there are groups of books that use the same characters to explore a child’s world. Helen Oxenbury has a series of four board books: “All Fall Down,” Clap Hands,” “Tickle, Tickle,” and “Say Goodnight,” that are all the same-sized, square books featuring the same cute, round headed children doing baby things. Also popular with young children are the “Baby Face” books that all have photos of real babies. You can keep up with the adventures of “Spot,” the yellow dog, in Eric Hill’s many books about the lovable canine. 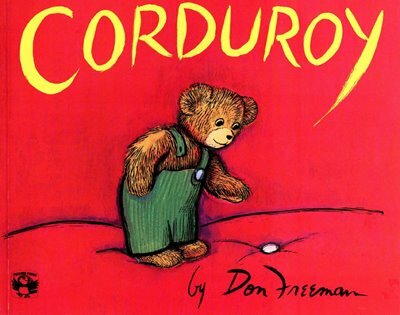 If your child likes the story by Don Freeman of how the mischievous bear “Corduroy,” comes to live at Lisa’s house, make sure to also read “A Pocket for Corduroy” and the other books about this same fuzzy stuffed animal with shoe-button eyes. Nancy Carlson’s plucky character Louanne Pig, Rosemary Wells’ bunny siblings Max and Ruby, Kevin Henkes’ feisty girl mouse Lilly, and Tedd Arnold’s boy frog Huggly all have many books written about each of them, so when your child befriends one character, you can read more books about that same individual. As the personality and behavior of the character becomes clear, your child can start predicting what that character will do in the story. Where is Louanne going to ride on her bike? Will Max and Ruby get into trouble this time? Older children will enjoy series books such as “The Box Car Children,” by Gertrude Chandler Warner, about four children on their own. (There are over 100 books in this series.) For some American history, read the autobiographical “Little House” series by Laura Ingalls Wilder about her family’s trek across the New Frontier. In this collection of books you’ll read about Laura as a young girl and witness her growing up and finally get married in the 9th book of the series. The series continues in books written by her children. There are also series of books about “The Magic Treehouse,” “Cam Jansen,” “Harry Potter,” “Redwall,” and many, many others. To relate these books to real life, pick out some activities from your child’s favorite stories to do at home. Cut sandwiches into fun shapes with cookie cutters (like Lilly does in “Chester’s Way”), create a pocket with paper and tape (like Corduroy’s) or make an old-fashioned bonnet out of a paper bag and string (like Laura Ingalls wore on the prairie). For more titles of books in a series, ask your school or public librarian.